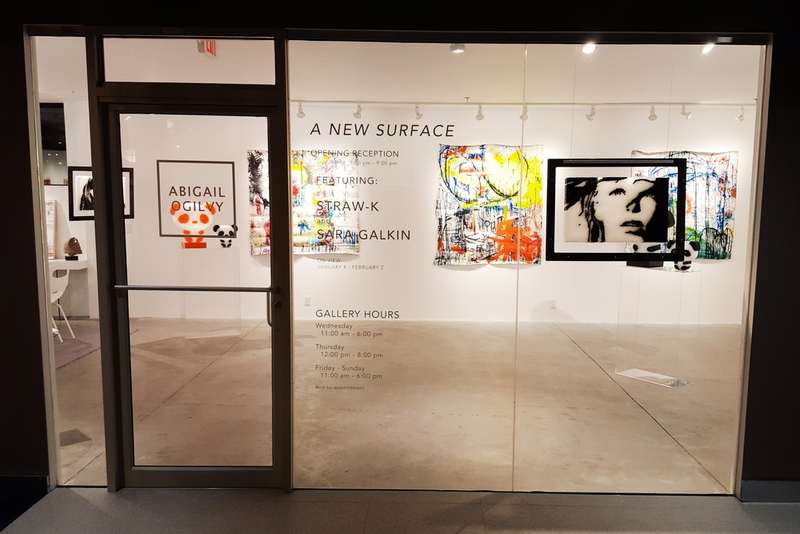 Abigail Ogilvy Gallery is proud to present A New Surface, featuring the artwork of Straw-K and Sara Galkin. A New Surface is a juxtaposition of two emerging artists who transform unconventional materials to create a conversation between the two and three dimensional planes of their work. Straw-k is a collaboration between Paris-based artists Alexandra Singer-Bieder and Sofia Bennani who met at Ecole Spéciale d'Architecture (ESA) while earning their Masters in Architecture. Together they use the structural principles taught by architecture and engineering to develop a new method of sculpture that creates an interplay between surface and light. Each piece is a unique assemblage of plastic drinking straws melted together by hand to create a solid structure that can withstand a remarkable degree of weight and pressure. Behind the whimsical imagery is a highly technical process pioneered by Straw-k.
Straw-k has experienced international success, showing in Paris at Modus Art Gallery, and participating in London’s Alternative Playground international art fair. They were also invited to participate in the first edition of Africa Design Days in the Villa des Arts in Rabat and Casablanca, Morocco, after winning the Young Talent Prize Africa Design Award. Sara Galkin is a New York-based artist who returned to art after many years working in the corporate world. She began with small sketches, drawing energy from the vivacity of raising a family, which she then adapted into larger paintings. Inspired by the urban chaos of her Brooklyn neighborhood, she creates abstract landscapes using a variety of media on raw, unstretched canvas. Using high-energy line and color, she unravels a journey for the eye that transcends the two dimensional material. Galkin has been included in private collections across the United States, and most recently participated in the Stand Project’s Brooklyn pop-up show, Sheltered Past.